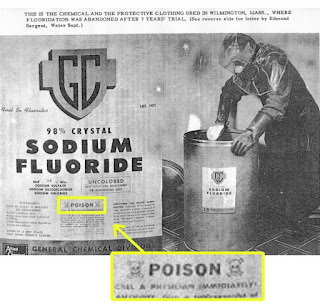 For years they have told us to drink the water, use fluoride toothpaste, rinse with fluoride, etc. By using fluoride is was supposed to prevent tooth decay and strengthen our enamel. Reports have been released by the CDC and the ADA advising that fluoride is not good for your teeth and in fact can cause severe damage. The ADA's study found that fluoride intake during a child's first few years of life is significantly associated with fluorosis, and warned against using fluoridated water in infant formula. While this is disturbing news there are ways to naturally protect your teeth. First we need to understand what causes tooth decay. Tooth decay is caused by acids in your mouth and it is usually created from sugar being metabolized by bacteria (Streptococcus mutans). Studies show that the number one source in the United States is high fructose corn syrup. 2. Avoid sugar and if you have sugar make sure to brush and dental floss your teeth immediately. 4. Eat more raw veggies, especially the green kind and chew chew chew. 6. Dental floss alone can help save your teeth and gums.